Around here, we do the BlogHer recap differently. 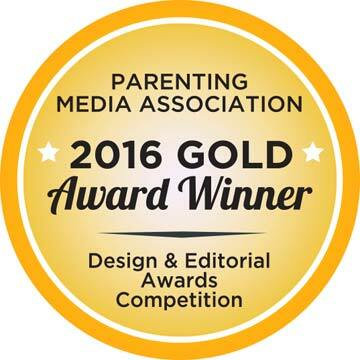 We publish the BlogHer Family Tattle Tale list compiled by my youngest boy, Auggie, while I'm gone Wednesday through Sunday. For five days, he keeps a notebook and I come home to ruled sheets of paper filled top to bottom with all transgressions done unto him by family members in my absence. 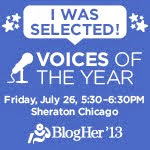 The best thing that comes out of BlogHer is coming home to this Tattle Tale List. WEDNESDAY: There's no tattles. My friend is here. He never saw Diary of a Wimpy Kid so we watched it. FRIDAY -- This is not a tattle but Dad made Italian sausage not chicken nuggets. Shocking. But he cooked them frozen. That is not shocking. We made him use the meat thermometer because Xavier (16 year old brother) was scared of pork poisoning and they looked pinkish. SATURDAY -- Xavier is driving me insane (all caps please). It's really bad. He keeps bugging me about seeing Pacific Rim even though I don't want to. He says "Oh yeah you gotta see this it's so cool." It doesn't look good. There's too many giant robots and not enough giant monsters. STILL ON SATURDAY -- Also Dad was okay, though he said "Your behavior is quote quote uneventful." Because I was trying not to get in trouble. But not really behaving, just not being naughty. SATURDAY STILL -- Amazing. Dad got me a book WITH HIS OWN MONEY. ON ALL THE DAYS -- Whenever we meet people and whenever we see people we know Dad always used the same lame joke and when people ask how it's going with mom gone, he says, "Their limbs will all be on." The same joke. It's so annoying and cheesy. SUNDAY -- Only one more day, mom. Dad is crabby. Just because I asked him if he was ever going to take a shower or just read the paper all day. Also, I don't think he wears underwear under his pajamas. It doesn't look like it. BAD STUFF: I missed you Thursday the most. I cried. Because everyone left at the same time: Alec (18 year old brother) and my cousin and my friend. And you. GOOD STUFF: You got me a lot of souvenirs while you were gone, right, mom? 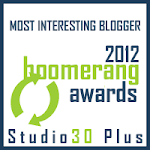 *If you're interested, here's Auggie's BlogHer12 Tattle Tale List. I'm back from BlogHer, the world's largest social media conference for women, which was held in the great city of Chicago this year. It was a thrill to present a session with Erin Margolin, and meet amazing women I've long admired like Cheryl Contee, co-founder of Jack and Jill Politics. It was the best BlogHer conference yet BUT as wonderful and full of laughter and friends as it was, I'm counting my lucky stars that I get to return to a place that makes me say It's so good to be home. It is. And I'm grateful for the little one that missed me to the point of tears, and the bigger ones that missed me right back, giving me a lump in my throat every morning when I called home and heard their voices that suddenly sounded deeper than I remember them. I am a lucky woman, indeed. **Returned home from BlogHer to a few unsettling items like a meat thermometer on the kitchen counter and a stapler in the bathroom. Figuring 'tis better to not even ask... the children were alive, only a few pounds lighter, and semi-clean. What else could a mother ask for. Looking to read just a little bit more? I'm proud to be featured today on mommy.com tips, with the results of my well documented day via cyber surveillance of how I spend my time. Captivating, to say the least. Still dying for more? How about "My First Love," on Purple Clover, a new site I'm head over heels over. 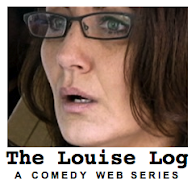 Come check it out and see what I mean. I'm relocating to Chicago for a week, setting up with a whole city of population 5,000. All bloggers. 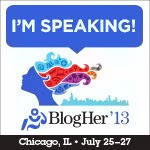 BlogHer, the world's biggest social media convention for women, will be held in Chicago this year, and I am thrilled that it will only cost me $48.00 round trip, thank you Amtrak, to get to the conference this year. That is so freakin' aweSOME. If I had been smart and thinking (If) I would have taken the money saved from no air fare this year and splurged on a hotel room. Just think of that fantasy; my own hotel room, a pile of People magazines, and a bucket of chicken wings. But all works out well, I'll be rooming with Dusty from Dusty Earth Mother, Lady Jennie from A Lady in France, and beautiful soul mate Varda of Squashed Bologna. I'll be taking the train up with my good good friend, Jenny, of tranquilamama. 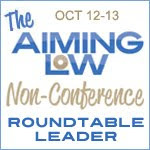 If you find yourself in Chicago, come look for me Friday morning at 10:30 when Erin Margolin and I present "A Room of Your Own: Blogging with Vulnerability." I hope you join us. I'll also be at one of my favorite places, the Serenity Suite -- also known as Time Out for A Breather; on Saturday, from 2 to 3 PM. I'll be back Sunday, and I'll catch you all up. 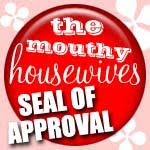 If you're staying home this year, you can still do BlogHer: Home Style. Follow along, win prizes! **If this will be your first time going to BlogHer, I invite you to read my post up today at BlogHer: Three Tips for Newbie BlogHer Attendees. The world congratulates you on the joyous birth of your son! Good show, Cheerio, Pip pip and all that. Now, let's get down to it... because no one else will say it, so I will. Time to talk about the elephant in the room: the way your new baby looks. 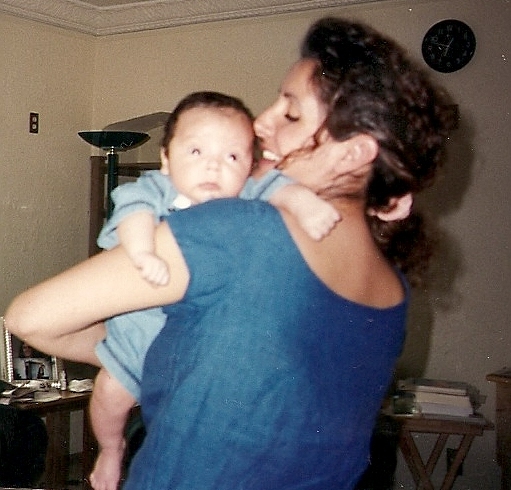 I loved my firstborn the minute he was mine, make no mistake. I had waited a lifetime for this child, but, no matter how deep in gaga love you are as the parent, there is no way you won't notice the Shar Pei that your baby is. Telling the truth here does not equal traumatize. I want to offer comfort and understanding, I want to give you a space where you can whisper "Sweet Winston Churchill, I thought it was just me." See, your Doctors will never prepare you for birth with paragraphs starting in "conehead, no neck, recessed chin, short rhino legs, long torso, wax covered, blue-gray face, swollen eyelids, pink rashes, yellow umbilical resembling snake-in-a-can, hairy forehead, hairy shoulders, hair everywhere except the head, teen acne, and purple finger nailed." And wax-covered. Said again, because it needs to be mentioned twice. I'm only leveling with you, new mom. You have lovely genes and your husband's nickname used to be DDG (drop-dead gorgeous). Take a breath and know you're not alone in this shock of feeling like you delivered something set aside for Area 51. A newborn looks like someone who has just spent nine months soaking in fluid, folded up like a wallet to fit into a space half their size, then pushed like a Himalayan sled head first through a luge tube. For twelve hours. In other words, a face only a mother could love. And so, you do. After a few minutes, of course. And try to ignore his resemblance to Tattoo from Fantasy Island. Congrats, mama Kate, you will be head over heels punch drunk out of your mind blind in love with each new day you spend with your baby -- which is mommy goggles enough. Rhino legs? Check. 24/7 terrified look on his face? Check. Gaah! He's so beautiful! Earlier this week after a neighbor a few blocks away saw me driving with my mother and children in a vanful of ice cream lickers, she commented, "Wow. Ice cream every day. That's a lot of ice cream." 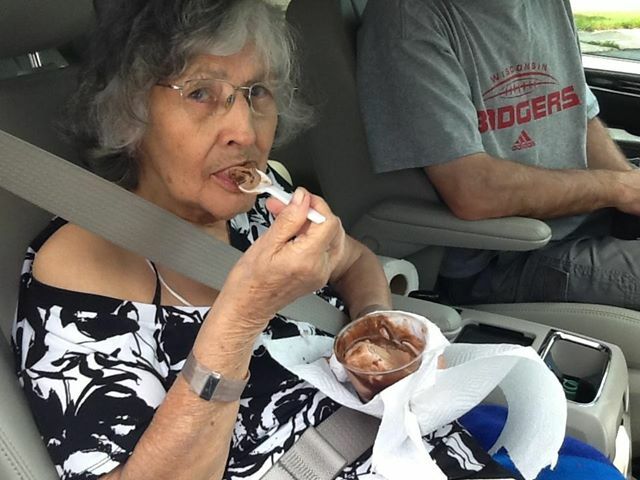 On the day she saw me take my mother out twice in one day for a double scoop ice cream treat, this woman decided I needed to know the fat content of the creamiest frozen custard in town. In case I wasn't aware, because obviously, I had no idea what I was putting into my mother. "Are you sure all that ice cream's good for her?" Let me mull that over, let me consider how to reduce my answer to only two or three sentences. Having to decide whether to add say, six days extra to my mother's life right now by low fat, low cholesterol eating versus cutting her life short a week and instead replacing it with giving her something to look forward to as soon as she wakes up by knowing those that love her are on their way, bearing gifts that come with double hot fudge on top. "Yup." I answer my neighbor. "I'm sure. So's her Doctor. He even wrote out a prescription for her -- two scoops a day of whatever she wants. It's called the Hospice Food Pyramid." Summer, more than any other season, passes by at lightning speed. Whereas January feels eight weeks long, three months of summer seem more like we just get started, and it's half way over. We try to do as much as we can to take advantage of school being out and the weather being beautiful. Summer fills up fast, and this month high up on the happenings is a conference I've gone to for the last three years. 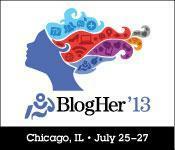 BlogHer, the world's largest conference for women in social media. It happens in only one week and is in Chicago this year, which is beautifully close for me and for the first time, I won't have to fly. How I love that. 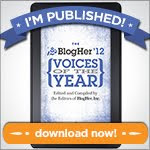 The number of those attending BlogHer was over 5,000 last year when it was held in NYC. This year, higher attendance is predicted. Going to your first BlogHer convention can be intimidating, and the BlogHer team wants everyone to feel welcome, wanted, and eager to return next year. With that goal in mind, BlogHer has assembled a "BlogHer Newbie" conference mentorship team, conference veterans who will be available starting at the opening day breakfast to answer questions, reassure, and then be visible during the Friday through Saturday conference. 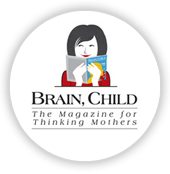 I'm proud to have been invited to be among the welcoming crew of the BlogHer Newbie mentors that will be there to remind you that we're all excited and happy to be here... so take a deep breath and smile. If you are at BlogHer, please smile and wave if you see me. I'd love to say hello. If you want to find me easily, come to Erin Margolin and my "Room of Your Own" talk, "Shedding the Facade: blogging vulnerably." It's an open forum on Friday from 10:30 to 11:15, and we'd love to hear your voice on the topic of writing your truth, the risks, the benefits, why some of us choose to do it. We'd love to see you Friday morning. 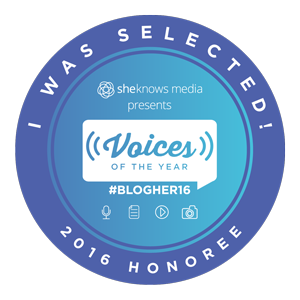 I'm also very proud, and humbled, that BlogHer has selected my post written for my mother, "I Wish You Could Have Known Her," as a Voice of The Year/Heart category. 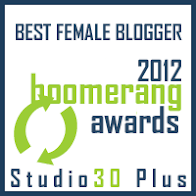 Thank you, BlogHer. --If you click over to Aiming Low, you'll see this post on supervillains that features my middle son's debut of his first published artwork on a website. 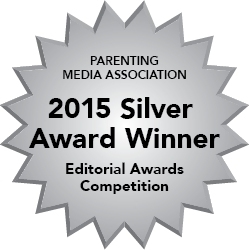 Thank you to the founder of AL, Anissa, for this honor. --I talk about the undeniable signs of aging, and even give you a handy quiz so you know just how far along you are into this process. Feels good to know you're not alone, doesn't it? Go on, answer the questions, on FunnynotSlutty. --Teens, the joy of raising teens can be yours if you remember to feed them/listen to them/love on them. 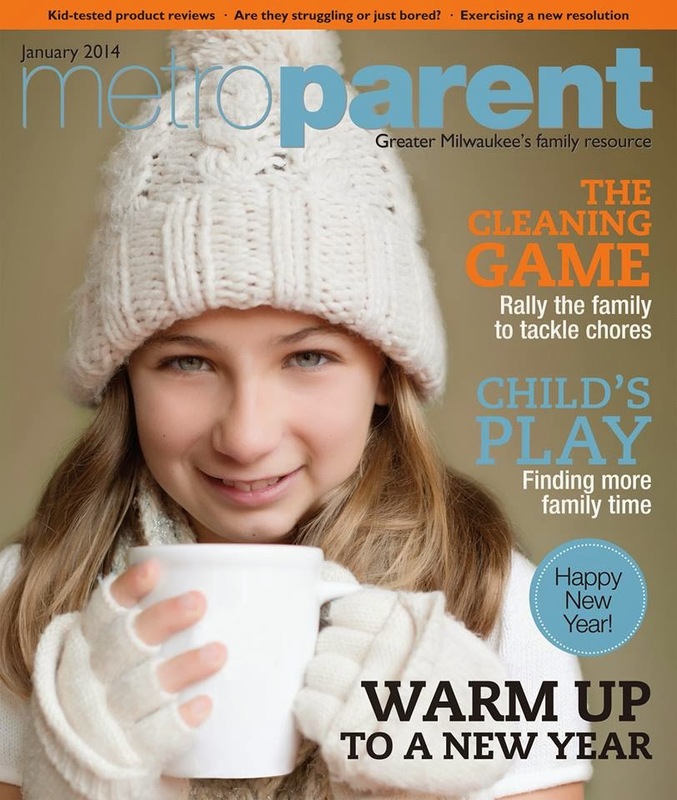 This week's post on milwaukeemoms . com, "It's only hard if you do it right." 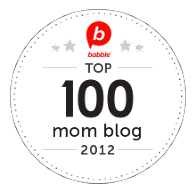 --I'm being featured on Canadian humor blogger Leanne Shirtliffe of Ironic Mom. She's gone on vacation and those friendly Canadians just left the front door wide open. I snuck a post in, "Kids don't fold like wallets." Thanks for having me, Leanne. 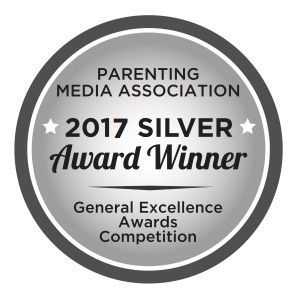 **Leanne is the author of the newly published "Don't Lick the Minivan: and other things I'd never thought I'd say to my kids." We are caught up. Almost. Tell me, what's new with you? If you say just swinging in my hammock, I'll be so jealous. Have a great summer, and thank you for reading. Having you spend your time here with me has encouraged me and made me feel pretty happy. Joy comes from community and belonging, you've given me that so many times over. Thank you. 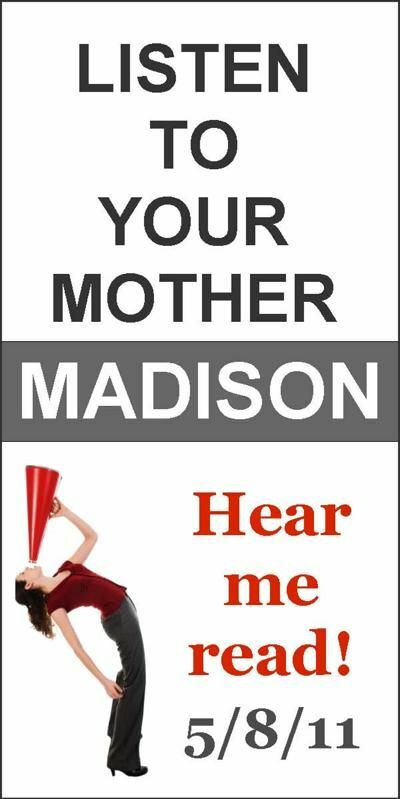 On May 5th of this year, I was thrilled to be part of Listen To Your Mother Show/Milwaukee. Aside from the incredible experience of producing and directing a production for the first time, there was room for me to read an original piece in the show. I talk on the natural subject of babies, first haircuts, and who has the say of the timing of said first haircut. And as if all that weren't enough heaven on earth for one person, the baby of above referenced haircut is now 18, and he passed the LTYM auditions and was cast in the 2013 Milwaukee show. His original piece, again on a very natural subject, that of a technophobic mom who turns to Dateline to keep her son safe on the internet. How I wish what he shares here was an example of well-written hyperbole. If you find my family's dynamics addicting, you can watch me here, explaining the rules regarding when, where, how, and who decides your baby's first haircut. 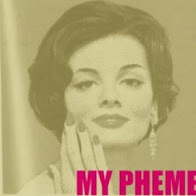 For a full playlist of the LTYM Milwaukee show, featuring 14 spectacular stories, please go here. I can't imagine an audience not feeling our love for community and voices shared. **A special thank you to our sponsors and to all who came out to see our debut show in Milwaukee! For a full list of those that made these videos and the shows across our country possible with their financial support, please visit our LTYM main page. Thank you to Orphonic Multimedia for the awesome quality of these videos. Single, dating, and the movies. What else do you do when you live for Friday and Saturday nights and don't yet have anyone in your life to poke their fingers in your eyes at 5:15 AM with the good morning call of "mama.mama.mama." I married late in life, at an age where let's just say I saw every A movie B movie there was to see in the 80's and 90's. 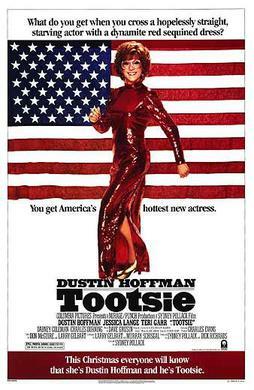 Without a care in the world other than making sure I got my nails done and had my legs shaved, a lot of the worth in these movies was lost on me. I didn't have the depth to pick up on Al Pacino's Scarface character's "Say hello to my little friend," or Dustin Hoffman in Rain Man with "Hot water. Hot water. Hot water too hot. Hot water." I missed it, because I was too young to really read between the lines of the dialogue. Or see beyond the curve of Johny Depp's cheek. "It's Better the Second Time Around," is my post up on Purple Clover today, where I publish a list of scientifically determined must see again movies -- films chosen carefully by me due to the heavily researched enlightenment factor as seen from this side of life now. I hope my Demands a Re-Watch choices spark an interest for you to check out what we missed the first time around, the higher thinking understanding of the left unsaid that we've matured into, versus the message that went right over our heads in 1983. Like, finally feeling it when Peggy Sue Got Married. I'd be grateful to see you here. For the past year, I've been living life in a grabbing at time whenever I can get it way. 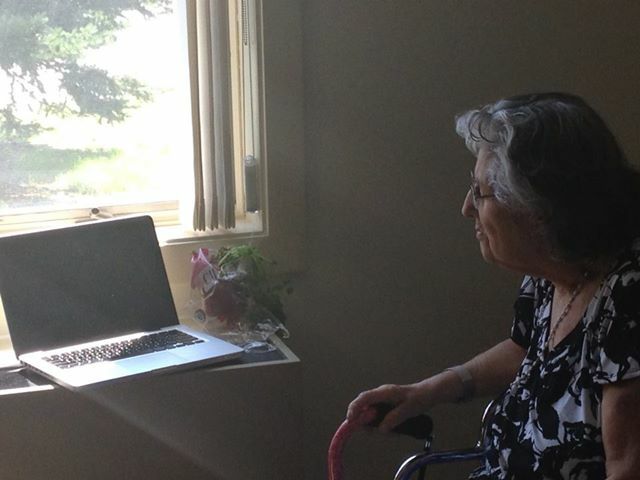 Taking care of my mother in hospice, my life has become one built around my daily visits to her. She needs me, and she is in the front seat of any activity or anything else going on in my life. Someday, when there's time, I'll tell you of the gratitude I have for my mother, who brought my grandmother to this country to escape what she was barely surviving in Colombia. Today, I'll tell you how I did nothing off of the 100 page I-need-to-do-this-today list and instead, I floated. I floated on the gentle waves of the day, never breaking the fragile surface's tension to dive down to return emails, make phone calls, or get any rearranging of shelves done. All of that, I left far below... as I drifted, my hands trailing softly along in the sweet current of today. Early morning began with a walk with my youngest and turned into a wheezing filled attempt at a run as I tried to keep up with the lungs of a ten-year-old boy, something that made him double over in delicious laughter. Today, our small town held its Mayberry R.F.D.-like annual 4th of July parade, and my family and I were there in our chairs to watch the local boy scouts and soccer clubs march through our ten block business route, tossing out candy to the crowd. Half way through the parade, I always end up telling my children to stand because the Special Olympics representatives march past and when the State Champs of anything pass us on the route, we acknowledge them. I did no cleaning, no errands. My shoulders were made tender by the sun, and I smelled summer in the hamburgers that my husband and oldest boy grilled. I tasted the moment of this suspended time in the roasted corn that burned my fingertips as I pulled the cobs off the coals. We laughed as we looked at my youngest's pile of corn cobs on his plate that could have passed for a lumberjack log jam. In the middle of our backyard table I had placed my grandmother's sweet mandarin orange and carrot salad, a favorite from when I was young, and now it's my children's. There wasn't a single spoonful left. We left in the early afternoon to visit my mother, and at one o'clock, we held a miniature parade for her outside on a 70 degree perfect day, the three of us waving the small flags we had brought along. We high stepped past her in her wheelchair, as she stifled giggles watching my oldest son salute her. He had found drum and bugle corps music on the iPad and we played it loud. Her eyes grew wet with the joy of the day. Come July 20, we'll be back here for her and we'll hold an Independence Day parade for her country, Colombia -- on their day of celebrating freedom. We'll leave here now, and tonight, when we're back home, we'll watch fireworks from the hill where they launch and we'll marvel, as we do every year, at how the bursts of rockets fill the sky. Snatching at time when I can, thinking of nothing else while I'm in these days of caring for my mother, but trying to remember every heartbeat of our moments. This has become our semblance of normal as we all tend to her. This season is a bittersweet one of marking our days, everything resonating in a deep awareness. Like how her hands are still as soft as silk, like my youngest son's are, as she tells us good-bye and taking our hands, presses them against her face. Her eyes closed, I see her trying to imprint these days as hard as I do. Dusk arrives, and with rolled up blankets under our arms, we find our place on the hill at the park. Anticipating the thunder of the opening fireworks, my son's small hands slip into mine, his back against my chest for support. The excited crowd's chattering rises as the sky grows darker, and my little boy leans into me, both of us whispering how our favorite part is when the fireworks first break open, the colors zigzagging like fireflies. We sit, eager for the celebration tonight, propped up on our elbows on the maroon and green plaid picnic blanket my mother gave us 18 years ago when my oldest son was first born. My hands feel the familiar fabric, and tears slip down the sides of my cheek as I remember the number of times she sat with us on this blanket while on picnics and trips to the park. A hush falls over the crowd as we hear the whoosh of the first rocket launched. A glorious firework as large and full as a chrysanthemum bursts open and a million lights fill the expanse of the velvet sky. The boom from the first flash cracks in the night sky, and twinkling embers slowly trail away in the darkness, then flicker away with an echo settling deep in my chest. Feeling nothing but the weight of my little boy against me, my eyes follow the drifting dust tails of a thousand white diamonds that shimmer across the black sky, illuminating the night with what once was. *I'm stopping back here to say, that less than three weeks later, my mother has passed. Thank you all, for sharing, and holding me up, through this time of caring for her. I am grateful for my community. It would be nearly impossible for me to ignore Erin's post from today. She writes of two people coming together, and of the story they create. The memory of who each of them are, a reminder of moments that will never be lost when we honor them and their place in our lives. Life takes courage. Decisions take a leap of faith. Much love to you during this time, Erin, and I hope for a peaceful place -- someday -- of the memories of this time. Life is a personal experience, and no two people, no matter how side by side they live, will walk away with the same picture. If you feel you can leave Erin words of wisdom, encouragement, or just a kind ear, please go here and tell her she has a community surrounding her, and she is far from being alone.